One of the best perks of the Small Fry job has been cultivating relationships with our favorite brands and shops. Sometimes you look at a brand and it’s hard to imagine what goes on behind the scenes, but we’ve found that a huge majority of the brands we feature here are parents just like us, working from their kitchen tables during nap times, just like us. They have huge hopes and ambitions and dreams for their families and they bust their butts working for those goals. 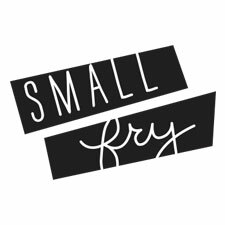 For that reason, we LOVE Susan of Freshly Picked‘s new Market Place, where she shares the best of the best from the small business scene. They have tested out the product and created a shop where you can go to find new-to-you brands. The BEST part is that she shares their story, how she came to know them and their journey, and more! You get a front row seat to one of our favorite things. Lucky us! Susan sent over some of the brands you’ll find in the Market Place, check them out! Bannor Toys’ Blocks // Koko’s Nest Blanket // Freshly Picked Moccs.